Alexandria, VA—Thousands will join in the revelry for the 287th anniversary of George Washington’s birth in his adopted hometown of Alexandria, Virginia. The city celebrates the General’s birthday throughout the month of February with more than 15 festive events, including the George Washington Birthday Parade, a Cherry Challenge among Alexandria’s restaurants, free admission to historic sites, popular walking tours and an 18th-century banquet and ball. In honor of George Washington’s birthday, participating Alexandria restaurants will create unique, cherry-centric dishes in celebration of one of the most cherished legends surrounding our first president. This year features dishes from dozens of restaurants and from every area of Alexandria and along the George Washington Memorial Parkway. Participating restaurants include Del Ray Café, Dishes of India, Evening Star Café, Murphy&apos;s Grand Irish Pub, and Sonoma Cellar. Patrons rate their favorite dishes, and winners are given special recognition at the George Washington Birthday Parade. For more information, visit www.WashingtonBirthday.com or call 703-829-6640. In preparation for George Washington’s Birthnight Ball on February 16, 2019, learn 18th-century English country dancing from expert dance instructors at Gadsby’s Tavern Museum. Tickets are $12 per class or $30 for the series. Reservations are recommended. For more information, visit Alexandriava.gov/Shop or call 703-746-4242. In advance of George Washington’s birthday, enjoy an evening exploring uniforms from the different nationalities that converged with Washington in Yorktown, Virginia in 1781. You can even try on uniforms of the Revolutionary War! Chris Daley, historical clothing manager for the Jamestown-Yorktown Foundation, will give you the opportunity to try on and compare uniform coats of the American, British, French and German troops as well as coats worn by African Americans serving with the British army. Each coat has been carefully researched and painstakingly reproduced in several sizes to help bring the Siege of Yorktown to life. Bring a camera and take photos of yourself and family members in the uniforms of the Revolutionary War. There will be a reception with refreshments, beer, and wine before and after the program. The event begins at 6:30 p.m. Tickets are $20 and may be purchased at Alexandriava.gov/Shop or by calling 703-746-4994. Meet special guests and enjoy a hearty breakfast with members of this historic association at this annual tradition. Be there for the first appearance of the day of General and Lady Washington. Dr. Jimmie McClellan, Dean of the Liberal Arts Division of Northern Virginia Community College, is the guest speaker. Tickets are $40. For more information and to purchase tickets, visit www.FriendshipFireCo.org or call 703-829-6640. Formal (white tie optional). Reception at 5:30 p.m. Entertainment in the Memorial Theater at 6:45 p.m. Banquet in the Memorial&apos;s Grand Masonic Hall at 7:30 p.m. The presentation of the George Washington Memorial Award will take place during the banquet. Tickets are $150. Reservations are required. To purchase tickets, visit www.GWMemorial.org or call 703-683-2007. For the most up-to-date information about related celebrations, visit www.WashingtonBirthday.com. The George Washington Birthday Celebration Committee also maintains a 24-hour phone line that will report any change of status or the cancellation of any event (in case of inclement weather, for instance). Call the events hotline at 703-829-6640. Named the #1 Best Value U.S. Travel Destination 2018 by Money magazine, a Top 5 Best Small City in the U.S. 2018 by the Condé Nast Traveler Readers’ Choice Awards and one of the South’s Prettiest Cities 2018 by Southern Living, Alexandria hums with a cosmopolitan feel and a walkable lifestyle—a welcoming weekend escape next to our nation’s capital. 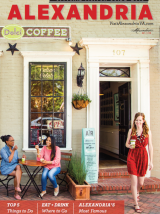 A nationally designated historic district founded in 1749, Old Town Alexandria is home to more than 200 independent restaurants and boutiques alongside intimate historic museums and new happenings at the waterfront. At the heart of it all is bustling King Street, a walkable mile recognized as one of the “Great Streets” of America. New restaurants tucked into 18th- and 19th-century architecture still intact from the city’s days as George Washington’s hometown ignite historic and off-the-beaten-path neighborhoods as the waterfront district evolves with new energy. Learn more at www.VisitAlexandriaVA.com.